Help is on hand for anyone suffering with a range of mental and physical health problems thanks to new regular sessions at a Liverpool clinic. 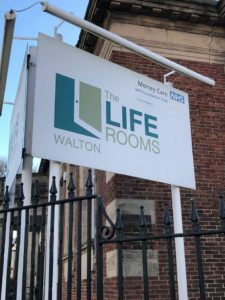 The Life Rooms, set up by Mersey Care NHS Foundation in Walton, will highlight the importance of looking after yourself with their monthly ‘Wellbeing Wednesday’ events. Free advice and support from NHS specialists is on offer to encourage people to take care of mind and body, along with learning more about the links between physical and mental health. Claire Speed, 31, Health Trainer for Livewire from Liverpool, said: “I work with individuals on a one-to-one basis looking at their lifestyle and wellbeing that they might want to change or improve. The focus is to promote the ways physical and mental health go hand in hand and how you can improve one by working on the other. More than 13,000 people have visited the Life Rooms and used their services since the centre opened in mid-2017. A range of services will be provided at the Wellbeing Wednesdays, such as guidance on how to stop smoking, mental health support, dental and digital services, as well as healthy lifestyle tips.